Hard drives are an essential part of a computer as they allow you to store and access your valuable data. Since they are mechanical devices and are constantly in use, hard drives tend to die or get damaged over time. When that happens, there is a risk of data loss. This article is written to help you with dead or damaged hard drive recovery. The risk of data loss is very high in case your hard drive gets damaged or die. If that happens to you, you will need to act quickly and use a reliable data recovery software to recover your lost data. iMyFone AnyRecover is one of your best choices in this regard. This advanced data recovery tool is equipped with powerful features and it is capable of recovering lost/deleted/inaccessible data from damaged or dead hard drives. 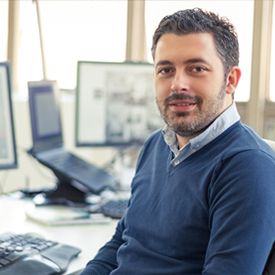 Recover lost data from damaged or dead hard drives, external hard drives, corrupted memory cards, formatted USB drives, and more. Support 1000+ file formats, enable you to recover nearlly all kind of files. Support all file systems. Including FAT, NTFS, exFAT, FAT32 file systems and more. File preview capability of AnyRecover allows you to preview your files before recovering them. Step 1. First, start iMyFone AnyRecover. 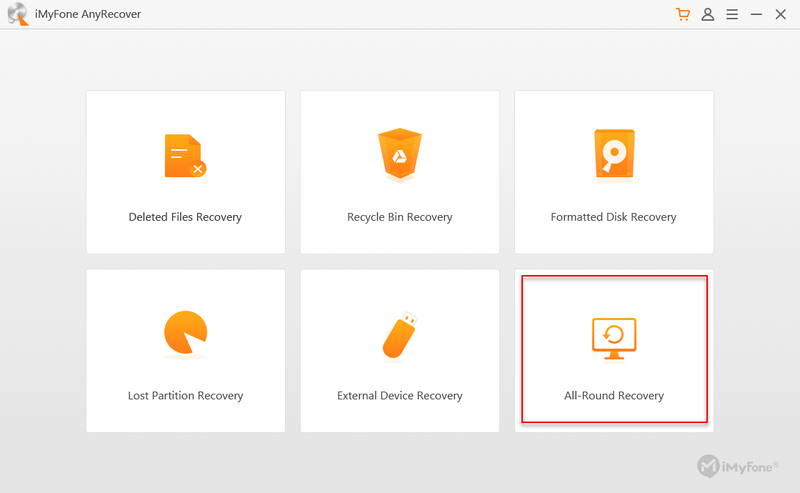 And select All-Round Recovery mode because it is the most powerful mode of the software which will allow you to recover files from damaged/dead hard drive. Step 2. Navigate to your damaged/dead hard drive, then go to the next interface by clicking on Next button. Step 3. Select the type of file you want to restore. 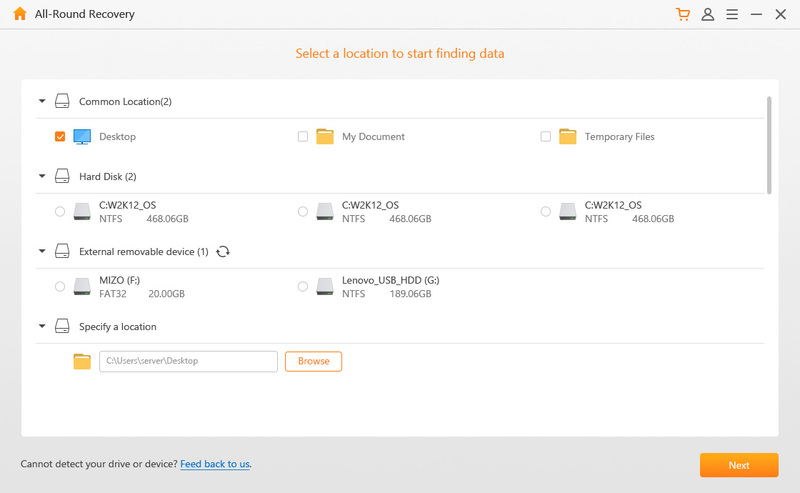 After this, AnyRecover will start scanning data from your damaged/dead hard drive. Step 4. 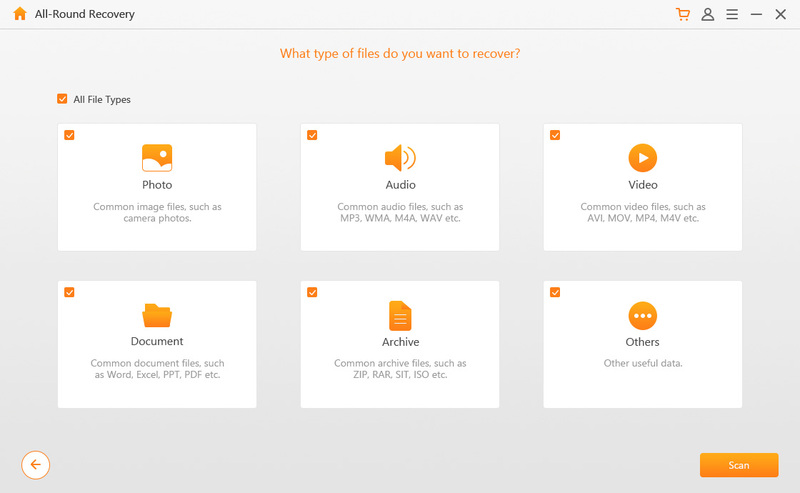 After scanning, you'll be allowed to preview you lost files from your hard drive, select them and click on 'Recover' button to start restoring. How to Tell if Your Hard Drive is Dead? A dead hard drive leads to data loss which is often difficult to recover. That's why you should find out when it is going to fail so that you can back up your important data. Thrashing and grinding noises means your hard drive is beyond repair. The noises could occur due to a head crash or if the motor of the drive has failed. Noisy bearings are another cause of hard drive grinding noise. If you are often encountering disk errors or files tend to disappear from the drive occasionally, then it means your hard drive is failing. Disk errors and disappearing data for no reason are never a good sign for your drive. If your computer no longer recognizes your hard drive, then it is suggested that you test it in another computer. If it doesn't work in other computers as well, then it is probably dead. If you are suddenly seeing blue-screen errors or sudden reboots of the system, then a damaged hard drive could be the reason. If you want to ensure successful data recovery from your damaged or dead hard drives, then there are some tips you must follow. Sometimes, a dead hard drive may function for a few last times before completing becoming a brick. So, there are chances of data recovery even if it becomes unresponsive or starts crashing. 1. If your hard drive is unresponsive, unplug it from your computer and then plug it on another computer to see if the other computer can recognize it. 2. If the other computer can recognize the drive, then it is highly recommended that you use a data recovery software such as iMyFone AnyRecover to recover data from it immediately. 3. Consult your local computer technician if you cannot troubleshoot your dead hard drive yourself. Hard drive getting damaged or becoming dead is the worst thing that can happen to your drive as it poses a risk of data loss. If you see the signs that it is failing, it's wise to use a reliable data recovery software i.e. iMyFone AnyRecover to recover data from it and back it up before it is lost forever.